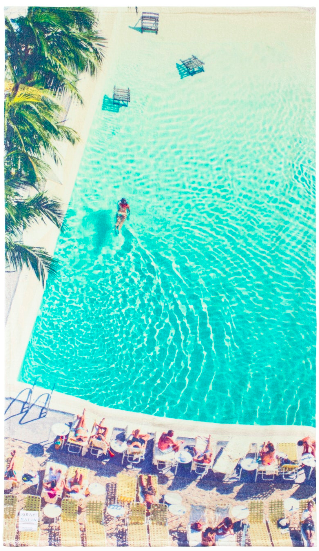 I’m such a fan of Gray Malin’s photography, and nothing says summer more than one of his iconic photographs turned into a giant beach towel. My hair has been a little dullsville recently, and it could really use an extra dose of shine. 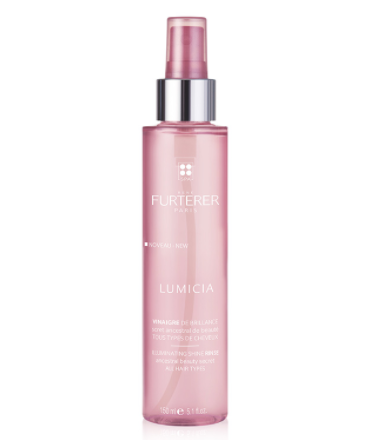 I’m such a fan of French brand Rene Furterer, and this Enhancing Shine Rinse has been on my “need” list for a while now. I always have a hard time finding good summer outerwear that isn’t a denim jacket. 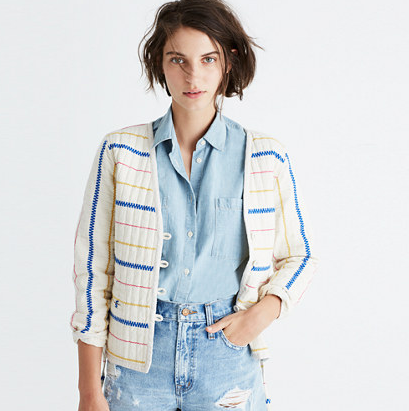 I love this quilted jacket from Madewell; it’s got a pop of personality and is the perfect weight. If you, like me, curse the heel gods whenever you decide to wear a shoe with more than a two-inch heel, let me introduce you to Swedish Hasbeens — particularly the Lacy Sandal, which is the perfect sandal with a bit of heel. Wear them with socks if it’s a chilly day, or wear them barefoot on your way to the beach. If you love coffee and don’t own a French press, then you CLEARLY don’t love coffee enough. (I’m just kidding, I’m sure you love coffee with all your bones.) 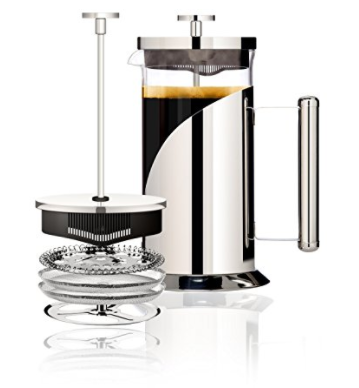 This French press makes delicious coffee taste even more delicious. The flavor is somehow always better and more rich. Plus, it’s kind of retro now? This is the jumpsuit for those who are nervous about jumpsuits. It makes you feel good and beautiful, and it’s breezy enough for those 100-degree summer days, yet conservative enough for the office.